November 13: After seeing cars whizzing by her street at 60mph, Charlotte Bozman noticed that the children were dangerously close to the road while waiting for the bus in the morning. “I just can’t let those kids stay out there like that” said Ms. Bozman, who lives in the Camelot neighborhood in Mojave. “Especially in the morning when the cars are blinded by the sun.” So Ms. Bozman called the local school district and convinced them to take steps to fix the problem. The school district cleared the bushes on the corner so the children can stand safely away from the road, and installed 2 large yellow signs that read “SCHOOL BUS STOP AHEAD” to warn oncoming traffic. “Maybe we’ll even put a bench and a barrier for the kids to stand behind” said Ms. Bozman, “it’s all about the kids”. Ms. Bozman, a long time Mojave resident, is heavily involved with helping children in her neighborhood and in Mojave. She organized a food pantry, and provided turkey dinners to feed needy families this Thanksgiving. If you have any questions, or know somebody who needs food, or would like to contribute to her pantry, please call Ms. Bozman at 661-824-3265. The Mojave Foundation salutes Ms. Bozman for her personal initiative and selfless service to children in this community. Her efforts are well timed, considering the tragic incident on November 18th when a young girl was killed crossing route 58 on her way to high school. To make a donation to the family, please contact Kressa Coy at the high school at 661-824-4088, or the Elks Club at 661-824-2240. This entry was posted in School, Security, Selfless Service, Uncategorized on November 19, 2013 by mojavefoundation. Long time Mojave resident Bill Wilson has been donating his time late into the evening to fix the brick sidewalk and other maintenance projects at his Alma matter, Mojave High. Mr Wilson, 72, has been working silently, seeking no recognition, and very few people probably noticed him working well into the night. 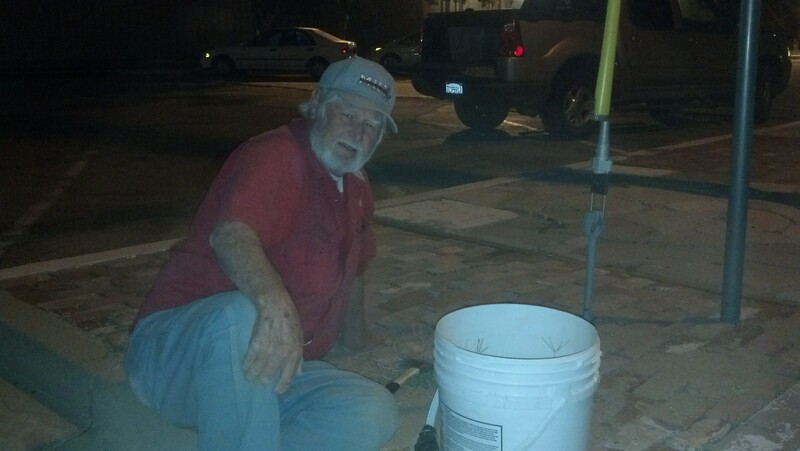 The Mojave Foundation took this picture of Mr. Wilson after 8pm one night, as he was replacing bricks that had come lose over the years. “I just like to give back” said Mr. Wilson, “This is my old school… I was on the first ever football team in 1953… I know the school doesn’t have any money, so this is my way of giving back.” Parents and children walk along the carefully laid brick sidewalk every day, but are little aware that Mr. Wilson silently labors long into the night to make the school presentable. Next time you walk along the brick sidewalk at Mojave High, think of Mr. Wilson… next time you see Mr. Wilson, say thanks! 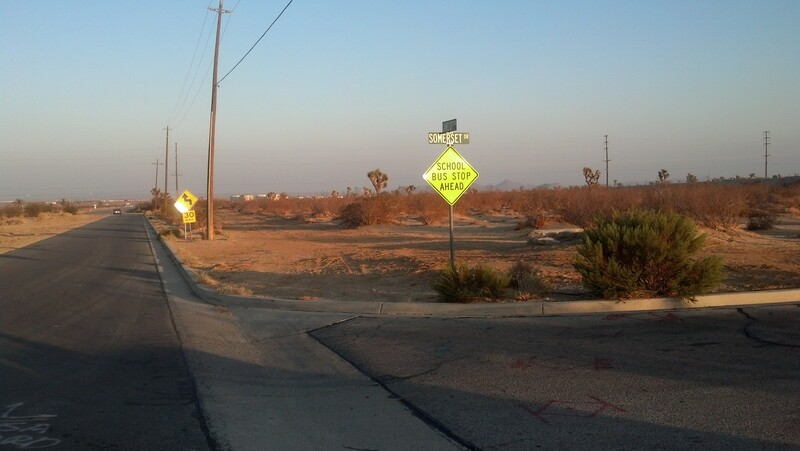 This entry was posted in Beautification, Cleaning up, School, Selfless Service on October 3, 2013 by mojavefoundation.